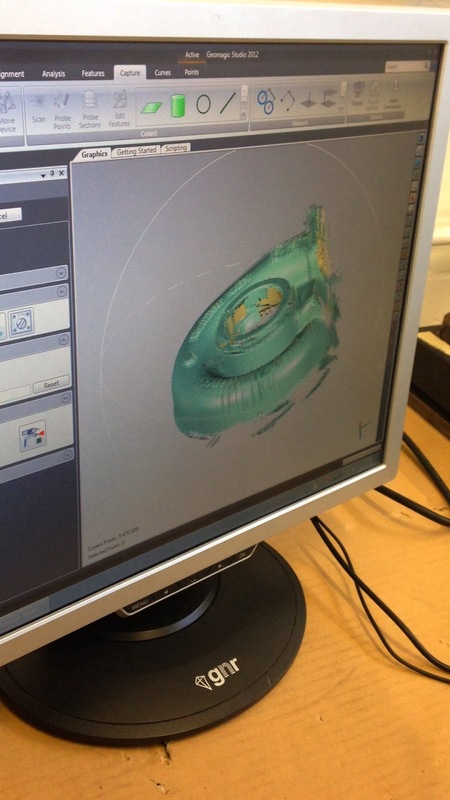 Todays work involved the scanning of some 3D components using a FaroArm (See here: Faro.com). 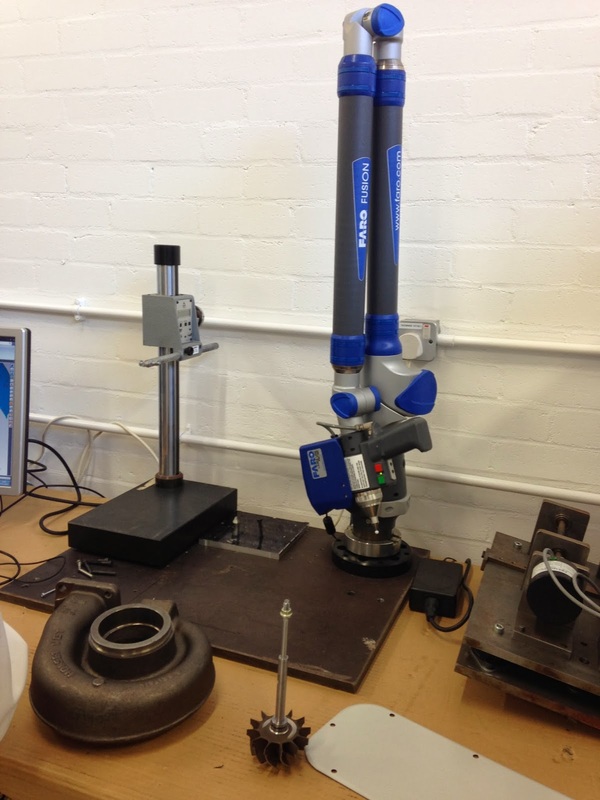 This equipment uses laser technology to determine a 3D profile and produce a 'mesh' of the part. The file opens in a software called GeoMagic which can be used to edit the data points and reduce the file size before exporting into more common CAD formats. A FaroArm is essentially a portable CMM (Coordinate Measuring Machine) that can use either a ball probe or a laser probe for mapping 3D parts. With the help of a Keith, a Brunel Technician, we set to work scanning the outside of the turbine house shown below and the turbine wheel. GeoMagic automatically relays the data onto the screen and then produces a mesh as shown above. Initially our scan contained around 3 million nodes (data points) but following a series of reductions using the "decimate" tool the final file contained 300,000 nodes and was approximately 100MB. The file produced is in a .stl format which can then be opened in Solidworks for modelling purposes. The turbine housing was successfully completed, however the turbine will be scanned after arm calibration in a weeks time. A video will follow shortly! Very interesting work guys, look forward to seeing more from you!